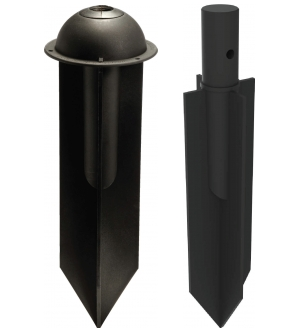 The Super Spike 25mm and 38mm is a multi purpose unit which adds significant stability when used to mount the NPS Spot or Pole Mount luminaires in loose or sandy soil. 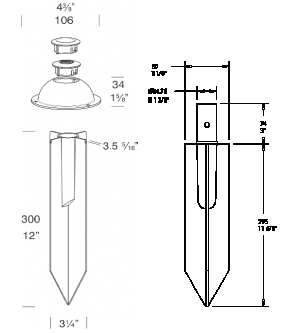 The Super Spike is supplied in kit form with two snap-in adapters to be used with either 1/2" NPS luminaires or pole-style luminaires. The dome junction box is designed to facilitate effortless cable connections, while being discreetly hidden by the dome. The Super Spike is constructed from black UV stable glass filled polypropylene.